What is a concept paper? Why is there a need to write a concept paper? How do you write it? This article explains the reasons why a concept paper is important before writing a full-blown research paper. It also provides a step-by-step approach on how to write it. I once browsed the internet to look for information on how to write a concept paper. It took me some time to find the information I want. However, I am not quite satisfied with those explanations because the discussion is either too short or it vaguely explains what a concept paper is. Preparing a concept paper entails different approaches but I somehow drew out some principles from these readings. I wrote a concept paper in compliance with a request to come up with one. Nobody complained about the output that I prepared. I was reminded once again when a colleague asked me the other day to explain what is a concept paper and how to write it. He needs this information because students have been asking him on how to go about writing the stuff. To him and his students, I dedicate this article. What is a Concept Paper and Why Do You Need It? First, before going into the details on how to prepare a concept paper, let me explain what a concept paper is and why do you need it. A concept paper serves as a prelude to a full paper. What is the full paper all about? 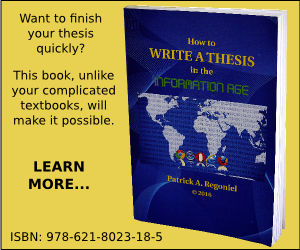 The full paper may be a thesis, a program, a project, or anything that will require a longer time to prepare. In essence, a concept paper is an embodiment of your ideas on a certain topic or item of interest. The concept paper saves time because it is possible that your thesis or review panel may say that your idea is not worth pursuing. One expects that the concept paper should consist only of 1 or 2 pages. Alternatively, if you want to resolve some matters, it can go up to 5 pages. For example, as a student you may be asked to prepare your concept paper for your thesis proposal (see 4 steps in preparing the thesis proposal). This means that you will have to develop an idea and express it for others to understand. You may glean from either your experience or from the literature that you have read. Of course, your topic should be within your respective area of specialization. If you are a student of computer science, you might want to study the behavior of wi-fi signals bounced to different kinds of material. Alternatively, maybe you wish to create a simple gadget to concentrate signals for a portable USB wi-fi connection to improve its performance. Or maybe you would like to find out the optimum cache size for greatest browsing experience on the internet. The list could go on. How Do You Write a Concept Paper? As I mentioned a while ago, there is no hard and fast rule on how to write a concept paper. It is not desirable to have a format as your ideas may be limited by placing your ideas in a box. You may miss some important points that may not be in the format given to you. The point is that you can express to others what you intend to do. What prompted you to prepare the concept paper? Why is the issue of such importance? What should you be able to produce out of your intended study? 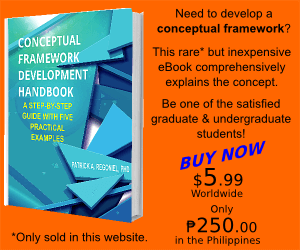 A conceptual framework is simply your guide in working on your idea. It is like a map that you need to follow to arrive at your destination. An excellent way to come up with one is to do a mind mapping exercise. That brings up another thing, what is mind mapping anyhow? A mind map is simply a list of keywords that you can connect to make clear an individual issue. It is our subconscious way of analyzing things. We tend to associate a thing with another thing. This relates to how we recall past experiences. In computers, we have the so-called “links” that connect commands in a computer module to make an application program work. How does mind mapping work? You just have to come up with a word, for example, that will help you start off. You can begin with an issue on computers and from there, generate other ideas that connect with the previous one. There are a lot of literature on the internet that explains what a mind map is. Now, after reading an explanation of the mind map, how will you come up with your conceptual framework? Well, I do not need to explain it again here because I wrote about it previously. You may read an easy to understand explanation and example here. 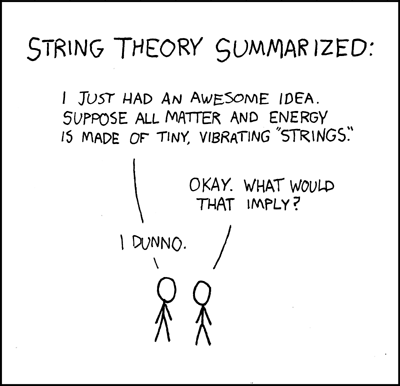 Once the idea of the conceptual framework is quite clear to you, then you may write your hypothesis. A hypothesis is just your expected output in the course of conducting your study. The hypothesis arises from the conceptual framework that you have prepared. Once you have identified the specific variables in the phenomenon that you would like to study, ask yourself the following questions: How are the variables related? Does one variable affect another? Alternatively, are they related at all? A quick review of relevant and updated literature will help you identify which variables really matter. Nowadays, it’s easy to find full articles on your topic using the internet, that is if you know how. You can start off by going to doaj.org, a directory of open access journals. 1. There is no significant difference in wi-fi signal behavior between wood and metal. 2. There is no significant difference in browsing speed between a ten MB cache and a 100 MB cache storage setting using Mozilla Firefox. 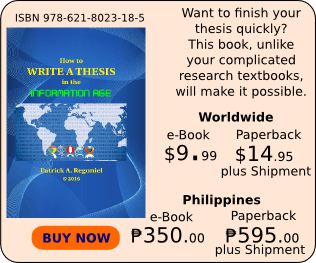 At this point, you may already have a better idea of how to prepare a concept paper before working on a full thesis proposal. If you find this discussion useful, or you would like to clarify further the discussion above, your feedback is welcome. Thank you for visiting my site Daphne. Your remark encourages me to even write more. I’m glad to read such feedback. Dear Dr. Kyejo, thank you for your kind feedback. I’m glad to be of help. 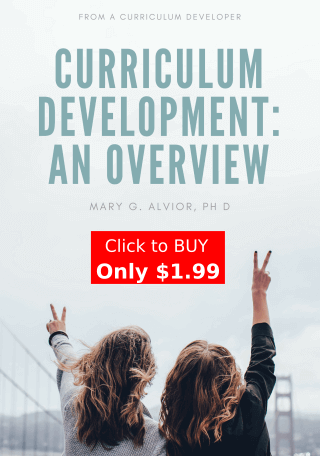 yea this is very useful especially for people like me preparing to do research concept document at post grad level and new in the field of research. Is a concept paper the same as a research proposal? I love your article. It has been written systematically to cover all the issues of conceptual writing and literature reviews. I learned a lot from your article. You did a great job, your writings going to help so many people who are not clear where to start. Keep on writing please. This article has made some fear I had about writing a concept paper disappear. Thank you. I LIKE THE WAY YOU TRIED TO GIVE EMPHASIZE ON HOW TO WRITE A CONCEPT PAPER..THANK YOU….I AM LEARNING MANY THINGS FROM YOU. Dear Aiwinia, a study always has research questions and hypothesis as tentative explanation of a phenomenon. You conduct research because you have questions in mind on some unexplained fact or event that you observed. Those questions are your research questions and the tentative answer you give to the cause of that fact or event is your hypothesis. I hope that addresses your question. Thank you for visiting simplyeducate.me. Good article!…write a book on the same! Thank you a mill… for this article. This will not only assist with my concept page for my DBA application but my also with constructing a good topic. its amazing and very helpful.asy to read,understand and make my own. I’m glad to be of help tsungai. Thank you for reading this article. Thanks a great for enlighting me with such gd info. You’re welcome Omam. It’s great to hear your encouragement. Glad to know that Bibiana. Thanks a lot for this practical education. It’s been 2mos. that am searching on how to write a concept paper for my requirements, it’s hard to start f u dont know what u r going to work for.. thanx for this page..I’l be reading tonight to have knowledge on it.. Thank you for your feedback. I’m glad that the article I wrote helped you and many others working on a similar assignment. It’s been of great help for my concept paper.I was just lost not knowing to start but I’m found.Thumbs up Patrick! Welcome Tee Cee. Glad to know this article helped. very systematic and well written. Now I have an idea what concept paper is all about. Thanks, you have done commendable work on the guide to writing aconcept paper. Many scholars will agree with me that this guide is comprehensive enough and assure way of starting of. Thanks. Welcome Bernard and Joackim. I just got too busy the past weeks and have not responded to these comments. Thanks for visiting the site. Good to know people like you are there willing to share knowledge freely. I was battling on how to start on a concept note on opening up a new branch and got a lot of guidance from this. Thanks and please keep it up. Words can fail many but God reward you. The more you share they more you gain is the principle I too believe in. Lets get on the good direction and continue educating others like me. Welcome Tina. I just shared from experience as I saw the need to write such article. Giving knows no bounds. Thank you for the encouragement. Thanks for the feedback Anne. I’m glad this article helped. Thanx its great! It helps me a lot on how can I start writing my concept paper… Blessed you more! Great to know that mavrix. This is a good article, keep up the good work. This article really helped me, let me now begin working on my concept paper. thank you so much for enlightening me on how to write a concept paper. am preparing a masters concept paper and this information is wonderful.cheers Doctor! I have been helped with this information for my study purpose. This is a very good article. Can I use this for my book? Rest assured that there will be proper citation to be done, sir. Complex made simple. This is very helpful. God bless! Just started my thesis journey! Thank you for the feedback Loveland. I very much would like to prepare a “real” concept as you requested, maybe in the near future. I have such a busy schedule now because of my administrative work. I have very limited time to write a new article. I do hope to spend more time in this website which is an offshoot of my hobby. Thank you for consolidating a great idea. I’m actually making a concept paper about coackroach milk.The time given to me isnt that enough for me to be able to accomplish it. Dear Airam, you can always write a few notes. You can make your concept paper short. Thanks alot. This really helped me as i had to write a concept note as part of the process of applying for a Masters Degree programme in my institution of choice. Welcome Raphael. It’s great to know you find this brief article useful in pursuing your degree. Thanks for the information. It has given me a good idea of to go about writing my research concept paper. It’s an honor to be of help Hoyelah. Thanks a lot for your article on how to write a concept paper……………….such a great help for me! Thanks a million. I was lost when my boss asked me to write a concept note on Cluster Poultry farming. Now I have an idea. God bless you sir. The information mentioned within the report are a few of the top readily available. The facts mentioned inside the report are several of the best readily available. Every after in a though we decide on blogs that we study. Listed beneath would be the most current web-sites that we pick. The information talked about within the report are a number of the ideal available. Your article has been of great help to me as I didn’t know how to get started implementing my ideas. Thank you so much God bless you.